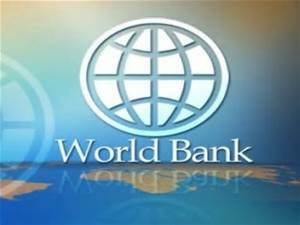 The World Bank has cut its economic growth forecast for Nigeria and other sub-Saharan Africa countries for this year to 2.7 per cent from an earlier forecast of 3.1 per cent. The bank said on Wednesday that the cut was mainly because of slower-than-expected growth in the continent’s bigger economies, according to Reuters. It said the slower pace of the recovery in sub-Saharan Africa was explained by the sluggish expansion in the region’s three largest economies − Nigeria, Angola and South Africa. The region, which had posted a fairly fast average growth rate in the years leading up to 2015, suffered a loss of momentum in economic output after commodity prices crashed in 2015-16. In April, the World Bank had predicted that the recovery would gather pace this year, with average growth expected at 3.1 per cent, up from 2.3 per cent last year. Lower oil production in Angola and Nigeria offset higher oil prices, and in South Africa, weak household consumption growth was compounded by a contraction in agriculture, the World Bank said. The rest of the countries in the region have been growing steadily this year, the bank said, including those that do not depend on commodities, such as Ivory Coast, Kenya and Rwanda. The World Bank’s Chief Economist for Africa, Albert Zeufack, urged governments in the region to stop wasting money and instead boost productivity to support the region’s economic recovery. Zeufack said, “High public debt in some countries in the region, combined with weakening currencies and rising interest rates, can endanger their ability to service those debts.